Versatile oversized reading and writing/drafting desk sets up quickly on a desk or table top to improve your posture and reduce eye and neck strain. 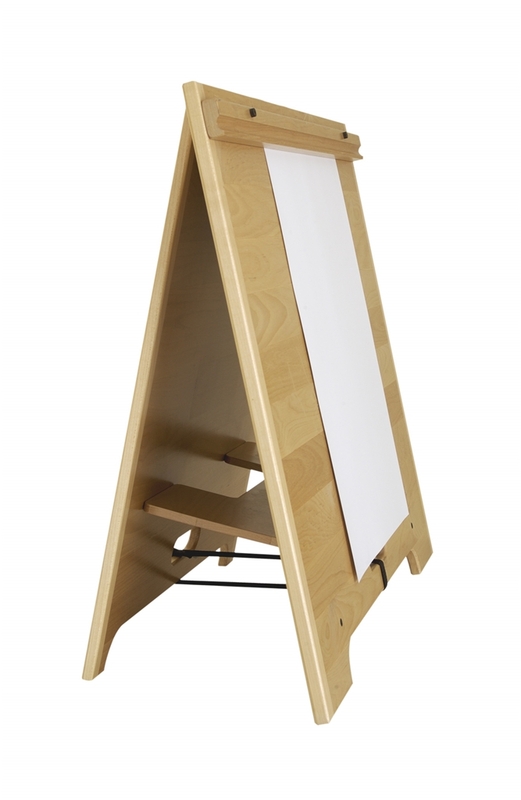 Easily converts from a portable drafting board into a stand-up presentation easel. Folds flat for storage in the office or transport on-site. 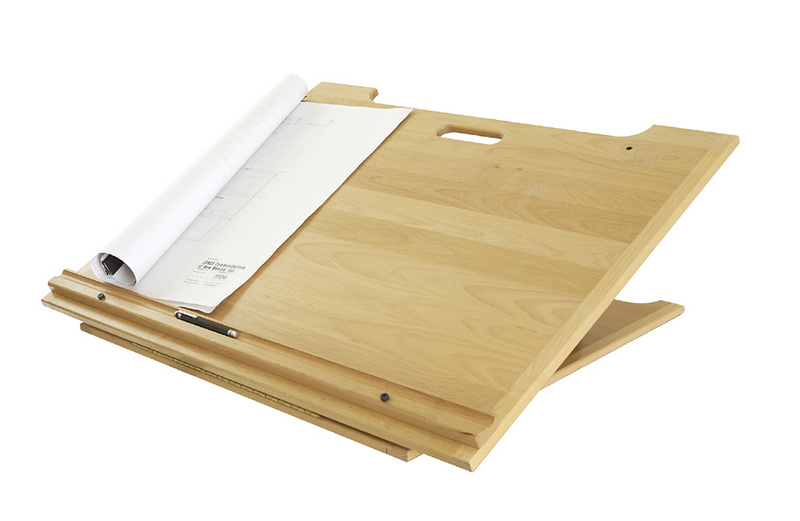 Generous 30" X 32" surface holds large documents, oversized drawings and blueprints. Desk angle adjusts from 17° to 29° for drawing, drafting, writing and reading. Low-profile, moveable paper stop/pencil holder keeps paper and pens in place without interfering with writing. Portable and collapsible with built-in carrying handle. Handcrafted from sustainable Red Alder with an elegant Natural finish and Italian brass fittings for beauty and durability. Ships in 1 - 5 business days factory-direct from Oregon. We ship this item to USA destinations only.